The marketplace spoke. BSC listened. 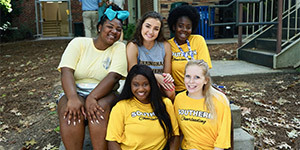 At Birmingham-Southern, you get the best of both worlds—a small-college experience with all the advantages of the big city. Birmingham, Alabama, is called the “Magic City” for good reason. The metropolitan area has a population of nearly one million and is rich with recreational, athletic, cultural, and entertainment options, plus plenty of opportunities for internships for BSC students. Birmingham is home to a nationally ranked medical center, a symphony orchestra, a Triple-A baseball team, and the Birmingham Civil Rights Institute, among many others. And we’re a short drive from the verdant Appalachian Mountains and the beautiful Gulf Coast beaches. • Colleges, programs, and degrees: BSC offers a Bachelor of Arts, Bachelor of Fine Arts, Bachelor of Musical Arts, and Bachelor of Science. There are more than 50 majors, minors, and other areas of study, including interdisciplinary programs such as Architectural Studies, Creative and Applied Computing, Media and Film Studies, and Urban Environmental Studies, plus pre-professional programs such as Pre-law and Pre-health. There are also specialty programs in honors, leadership, service learning, entrepreneurship, and research and teaching fellowships. • Geographic diversity: Our students come from 34 states and nine countries. • Test score requirements: BSC uses a holistic approach and does not have minimum test score requirements. Students may also choose test-optional admission, which does not require the reporting of standardized test scores. • Application deadlines: Early Decision deadline is November 1 with a December 1 notification. Early Action deadline is November 15 with a December 15 notification. Regular Decision deadline is February 1 with a March 1 notification. BSC is making a nationally ranked, transformative liberal arts education available to all students. At BSC, we offer incredible value and proven results. You’ll find great professors teaching and mentoring in small classes, a beautiful residential campus in one of the South’s most up-and-coming cities, and a commitment to giving students the hands-on experiences they need to succeed. 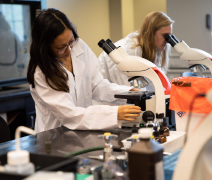 BSC offers new interdisciplinary majors—including Applied Computer Science, Architectural Studies, and Health Sciences—designed to give you the skills for professional success in a fast-changing world. New distinctions in Public Health Studies and Poverty Studies allow you opportunities to examine complex topics in addition to your major. 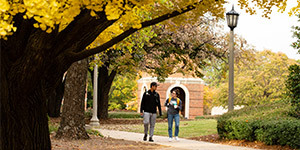 And new dual-degree programs with local universities offer accelerated pathways to professional degrees in Law (with Samford University’s Cumberland School of Law) and Nursing (with the University of Alabama at Birmingham). Take a class that inspires you or visit a country you’ve only seen on a map. Be challenged in small classes by our top-notch faculty to tackle challenges you never imagined, then take what you learn beyond the classroom. Whatever you choose—an internship, research with a professor, a one-on-one mentorship, a service or travel project—you’ll get the tools you need to achieve your goals. Find yourself on the Hilltop, where 85% of students live on a green campus near downtown Birmingham. You’ll find 80+ campus organizations offering the chance to expand your horizons or take on a leadership role, plus 22 Division III sports. Experience a true community and make friends for a lifetime. Come see why Colleges That Change Lives lists BSC among just 40 schools honored, calling it “what college ought to be.” Take a virtual tour at bsc.edu/tour or schedule your visit today.